We are all in this world economy together, and for most of my life the basic rule of money was that it would lose value year after year because inflation would always take its 2-4% nibble. But it is starting to look like that rule, that seemingly immutable act of the god of the economy, has been turned on its head. 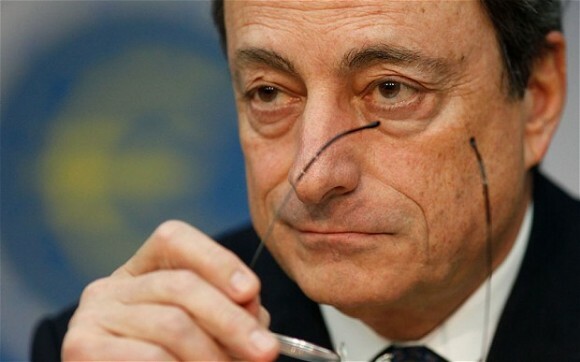 The Europeans led by the bone rigid Germans and the limpy wimpy head of the European Central Bank, Mario Draghi, are dragging themselves into deflation. The Japanese, with their country of old people, have been in deflation for almost 20 years and are desperately trying to manipulate themselves out of it with a monetary scheme that unfortunately won’t make more children or import immigrants. The United States has plenty of unused assets, Silicon Valley pushing down prices, a torrent of shale oil gas and coal, and a flat birth rate with a stupidly restrictive lid on immigration. (Fortunately, resourceful people still sneak in to lubricate the economy and provide needed human energy, but it would make more sense to let them in legally). So here’s the deal. We’re in the “no inflation,” “look out for deflation,” “do you really want a mortgage?” blues for quite a while, and we better figure out how to live with it and make it work for us. I think we are seeing the reaction to non-inflation in the house ownership rates in the U.S. Despite tax benefits, home ownership is shrinking steadily here. We are under 65% now and dropping quite abruptly. This is partly due to the post 2008 recession, but even with 3% growth in the economy it is still plummeting. Now the banks are reluctant lenders, but one reason for that may be that they do not see house inflation bailing them out on loan defaults. Car leasing is now 26% of new car transactions, double the 2009 rate. It is rising virtually each quarter and now used car leasing is starting to catch on. I see it as a reaction to non-inflation, though I will admit other factors are in play — like city life. The machine tool market is also a place where we are seeing flat or receding prices. Swiss CNC prices have fallen in recent years for both new and used. The strengthening dollar versus the Yen and Euro will exacerbate this trend. The Yen is at a 7-year low, 112 to the dollar. The Euro is down 10 cents or 8% in the last 90 days. Think of what you can buy a Haas VF-3 for today, new. Inflation, I used to know you. Wages – we all know the routine. Flat, flatter, flattest, unless you can program or know the recipe of a secret sauce. In the face of non-inflation Al Sharpton and Elizabeth Warren and every joker who wants to run for President will push for a higher minimum wage. There is a social argument to be made, but the economic likelihood of it actually helping more people than it hurts because the number of low wage employed recedes, makes the higher minimum wage hard to support. So how do you play it if you believe that we have non-inflation and Europe and Japan are wallowing in deflation for what looks like the next several years? The U.S. stock market averages hit record highs on Friday. Money has poured into stocks because savers cannot afford to buy low interest bonds or put money in a non-saving bank account. If real estate appears stagnant better to be a renter unless you can find a hot local area. Gold? You couldn’t pick a worse place to bury money with non-inflation. If you have a business or a skill it may make sense to invest if you really believe in yourself. For a retiree this is a tough moment. Inflation hurts a Social Security income. Non-inflation is neutral. But people with nest-eggs they need to invest are almost forced into dividend paying stocks. People who have much of their savings in their homes face a real quandary. Do you sell now into a weak market and look for a rental that may not be as nice as your home, or do you live in your homey home that has rising property taxes and shrinking equity? Tough choice. Question: Inflation. Deflation. Which is worse for you? Inflation, when it becomes hyper-inflation, is economic crack cocaine. It causes frenetic, largely pointless activity and sooner or later you crash. Deflation is, to extend my “drug” metaphor, economic morphine. It causes a reduction in activity. Like hyper-inflation there’s the danger of a positive feedback loop. Inflation is a reduction in the value of money so the incentive is to get rid of money, which is losing value, in favor of something – anything – that’s gaining/holding value. In a hyper-inflation scenario you run, not walk, to the bakery to get a loaf of bread with your wheelbarrow full of money before inflation requires two wheelbarrows full of money for the same loaf of bread. The money-printer, government, is in the same fix. Todays printing run of new currency reduces the value of yesterday’s print run of currency. Deflation’s more insidious in that if you’ve got money you’re richer today then you were yesterday so the incentive is to not spend money until tomorrow when it’ll be worth even more. Investment becomes pointless, even counterproductive, when you can get richer by doing nothing. The loaf of bread you might purchase today will take fewer dollars/cents to purchase tomorrow as will that VF-3. So you put off the purchase, every purchase, as long as you can. Not hard to figure out how that’s going to effect the economy. I think most, if not all, of the reducing home ownership and desire to lease vs. buy is a result of the Great Recession. Many folks got shook bad as the result of failed mortgages and high car payments, with no way out other than to lose their home or give up their nice car. Now the mentality is why take those risk, for what purpose. Is this a bad thing? Maybe for the overall economy, that is built on every increasing amounts of consumption. Maybe not. Now more of us in the US are living within our means, paying for what we truly can afford with cash vs. leveraging to the hilt. Isn’t that what our parents, our grandparents, always said we should do??? Peace of mind is worth more than a $500,000 bank owned mortgage! Right, stupid old white guys just don’t get this. Karl, I can’t agree with you or Lloyd on that matter. With a total US population of 319 million of which 158 million are receiving federal benefits of some type leads me to believe there is plenty of labor available right here. While many of the 158 million are truly in need of assistance there are many who simply refuse to be productive members of society. Just kick their lazy butts into gear. This would have a far bigger impact than allowing just anybody to cross the border. Just like I followed my daddy into manufacturing, there are simply too many 2nd and 3rd generation welfare recipient who went into the “family business”. What a success the war on poverty has been. I fear many of the people who do not now have a job are incapable of holding on to a job due to ignorance, stupidity, substance abuse, lunacy, dysfunctional home and community environment or lack of transportation. We need to subsidize pay for work that is of low value to provide a living wage and we need to discourage reproduction of those stuck in poverty. Deflation is natural… in times of progressively increasing productivity (e.g., # of agricultural workers required to produce our total food requirement falling from over 50% to less than 3%, # of manufacturing workers required to produce all of our “stuff” falling to less than 10%, etc.) you would expect decreasing prices. Increasing prices results purely from devaluing our currency by increasing it’s supply. The cost of an item in the early 1900’s that cost $1 in the early 1800’s? 79 cents. The cost of an item in the early 2000’s that cost $1 in the early 1900’s (after the creation of the Federal Reserve Bank)? $22. Inflation and low interest rates are intended to shift consumption forward, not increase consumption. This merely steals orders that would naturally occur in the future to today… making the sheeple happy who then blissfully re-elect the leaders that have provided the (near term) economic activity (at the cost of future activity). Borrowing (for consumption) today immediately increases today’s standard of living. Borrow to purchase a new car? Yesterday you were taking the bus, today you’ve got a new ride. But in the future you have to make those pesky car payments. This is how we got to the point that our entire economy is 70% consumption. However, it is the investing of resources (savings) that creates future productivity growth and innovation. And it is this future growth and innovation that raises all boats, making the poor of today having much healthier, richer lives than even the richest from past times. First off legal immigration, if done with first world westerners is a boon to the US, but thank Uncle Ted Kennedy for screwing that back in ’65 with the immigration act that has flooded us with cheap, illegal, uneducated workers. If the writer of this thinks they are a boon to this country, he has his head so far up his @$$ that he’s turning inside out! Inflation is natural to any well functioning market. Well functioning is the key term there. It is when there are outside undue influences that the markets get distorted and “inflation is dead as we know it”. It will not last, and inflation will come back. So what are the undue influences? QE1, 2 and Fed keeping the interest rates at 0% comes to mind. A federal government that is manipulating data…inflation is tame, but I pay $11/pound for steak. Rewording/calculating what the definition of inflation is…all for just a start. So where are the real numbers? Ask folks on the street…reason why 72% of Americans feel the economy is off track. There was a lot less hand wringing when we had high inflation in the 1970s than when we had modest deflation in the 2010s. I think deflation is the more deadly economic situation under most circumstances. All the human activities are subject to the second principle of thermodinamics,wich is the “Entropic effect” in Economy this effect is the “Inflation” so the periodic devaluation of the “currency” (Printed money) is the fuel of our economy. European economy is in big troubles and will soon collapse becouse the Euro is a currency that cannot devaluate being his value founded on the promise that it cannot devaluate more than a certain fixed amount (Maastrict Pact). So the European States lost the Monetary Sovereignity, and monetary manouvers to compensate production losses, are not possible and only Financiary manouvers are possible. The practical difference is, if at the end of the year the Nation has spent 1000 and gained 800 with a loss of 200 , having the possibility to devaluate with a monetary manouver with 1000 in your poket you can buy only for 800 recovering the lost value and also the no tax payers will contribute indirectly, the national products will become more competitive, and there is the possibility to recover from a bad situation. But if the monetary manouver is not possible, like with the euro, the state without the monetary sovereignity, makes a financial manouver wich means saing to the citizens: “You have spent 1000 and gained 800,so now give back (with taxes) 200” in this way the country products are still not competitive and the people evading, taxes do not contribute to the loss of 200. A currency that cannot devaluate is the favorite of Financial Speculators, and money savers keep the currency out of the market, not loosing value in the time, this is the end of any productive business, and we have only people that wants make money with money. European Socialist politicians, in order to warranty to workers not to loose the value of their fares, had the idea to introduce a currency that could not devaluate more than a fixed value, the same for all the Europe, but somebody observed that to print a new currency there should be some warranty value like a gold reserve, and there was not one european state with the intention to put this warranty,but some experts like Mr. Draghi observed that a not devaluating currency is very interesting and that this promise is a sufficient added value, so they did, not think to the consequences we see now, and they where convinced to have invented the “Perpetual Motion” in Economy. We don’t need more immigrants coming in… we need the ones that are already here to give up the gov’t handouts and go to work or go back to wherever they came from!! America doesn’t need a bunch of uneducated, poor worker bees to “save” us from our economic woes. Anybody who believes that is an IDIOT!!!!!! Most economists believe that deflation is generally worse than inflation, and I agree. Deflation is also more difficult to control than inflation. Harry Truman was skeptical of economists’ predictions because they always qualified them with at least one “on the other hand.” You listed two of them, Lloyd, Sillicon Valley and our abundant new supplies of oil and gas. The only ones they hurt are the companies that are disrupted, but that’s the price for progress. Unlike most deflationary factors, such as slack demand, price reductions resulting from productivity improvements are net positives. Sillicon Valley innovations yielded huge net positives. Fracking will too, especially if our energy independence results in reduced vulnerability from those who dislike Western culture and wish to harm us. Historically, the value of currencies eventually goes to zero, or near zero before they’re replaced. I can’t think of an exception. Wars, including reparations imposed on the loser(s), have been major factors in the debasement of currencies (eg. the German Papiermark, which, due to hyper-inflation, was replaced by the Reichsmark in 1924). Even the winners’ currencies generally lose from wars. Bad policies and governance are the other major causes of currency devaluations (think Venezuela and Argentina). The wrong polices are also contributing factors in deflation, of course, and politics invariably plays a big role. My father, who was born in 1902, was drafted into the Italian infantry in the early 1920s. He recounted that at that time one could buy a modest lunch for one lira. By 1946 the lira to dollar conversion rate was about 650 to 1, and climbing. The vast majority of that devaluation occurred from 1940-1945. By the time the euro replaced the lira, on January 1, 1999, the conversion rate was ~1,850 to 1. That was in addition to the erosion in the value of our dollar.